The A1 is Audi’s first exploration into the supermini niche, and brings with it all the hallmarks of typical Audi engineering within a compact package. Build quality is exceptional, and low emissions make running the A1 very cheap. 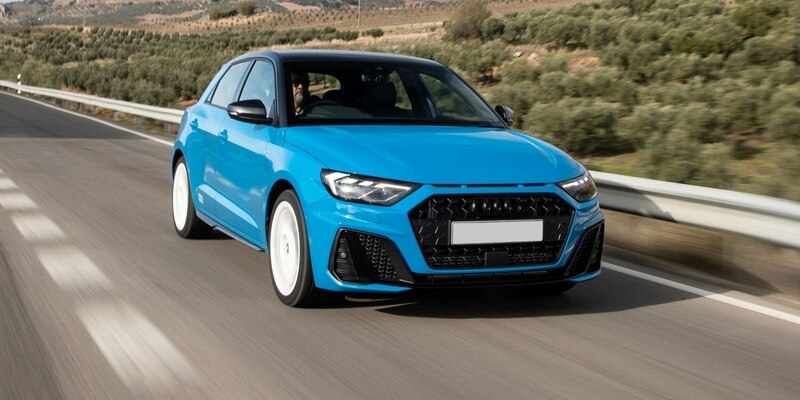 Plenty of notice is paid to both the inside and outside of the car – small adjustments to the front grille set the A1 apart from its larger brothers, whilst still maintaining the conservatism seen in other vehicles across the range. The large bonnet gives a nod to models such as the Audi TT, as does the switchgear detailing on the inside of the car. The interior makes use of high quality fabrics that not only look great, but can be fully customised, allowing the seats, steering wheel and upholstery to be tailored to specification. An adjustable steering wheel means getting comfortable whilst driving is very easy. The A1 is available with a variety of engines, all compatible with or without Audi’s effective twin-clutch gearbox. Both the 1.0 and 1.4 litre petrol engines perform well, with the latter being especially good for long journeys, and the turbo-injected 1.4 can move from 0-60 in less than 8.5 seconds. High-end specifications, in particular the S1, can reach the same speeds in a fraction of the time. The A1’s trim levels all provide more than just technological and aesthetic changes, with differences applied to wheel sizes and suspension. These customisations are great for achieving a balance of handling and comfort tailored to the driver. Regardless, the A1 is an enjoyable ride, excelling on winding roads that can make use of its responsive steering, although the chassis of the A1 is also effective on long stretches, where its adaptive behaviour provides enhanced stability. The Sport specification also includes Bluetooth, Sports seats and larger wheels, whilst the S range also gets you interior lights and a bodykit. Further modifications are available via the extension of the S line, or surplus packages (such as the comfort package) containing extra features. Audi’s optimised diesel engines are surprisingly efficient, with the greenest of them producing just 92g/km of CO2 emissions. Perfect for Young Professionals With the A1, Audi has catered to a niche that was previously untouched, creating a premium supermini with a build quality usually reserved for a higher class of vehicle. Motorists with a little extra income looking for cars of this sort will be right at home. The trade-off for a higher asking price is exceptional quality and the reliability Audi is known for. The upfront cost is also counter-balanced with low emissions in all but the most powerful specifications, and the strength of the Audi reputation making depreciation much more competitive than other rivals on the market.